Rio de Janeiro Mayor Eduardo Paes stated that security in the Olympics is not the city’s responsibility in Brazil, it’s a state-level responsibility. 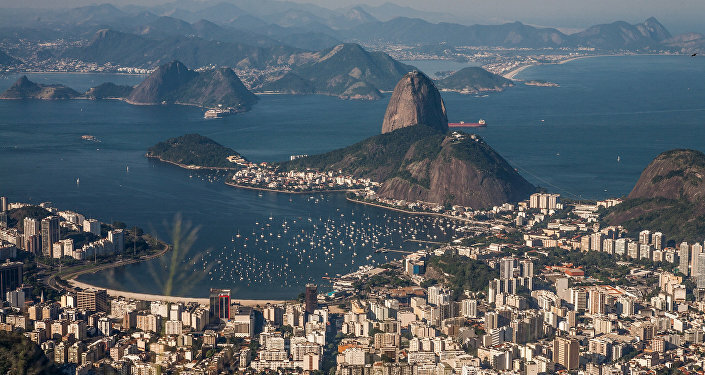 MOSCOW (Sputnik) — Rio de Janeiro Mayor Eduardo Paes accused the local officials on Monday of doing a terrible job of ensuring security in the Brazilian state as it prepares to host the Summer Olympics. Rio has seen a wave of violent crime in the past few weeks that culminated in police greeting people arriving at the Rio airport with a "Welcome to Hell" sign. "This is not the city’s responsibility in Brazil, it’s a state-level responsibility," Paes told the US television channel CNN. "I think they do a terrible job on security before the games." Last month, Rio de Janeiro state governor declared a state of financial emergency and requested assistance from the federal authorities. In late June, the federal government disbursed $895 million in security funds to help the state address the financial disaster.